Losing a spouse is unimaginable. It’s one of the hardest things that an individual can go through in life, and watching your loved one suffer with the grief of losing his or her spouse isn’t easy either. If your senior loved one has recently become a widow or widower, your support is important. You can help with paperwork and other tasks. Your loved one will also need your support as he or she goes through each state of grief. 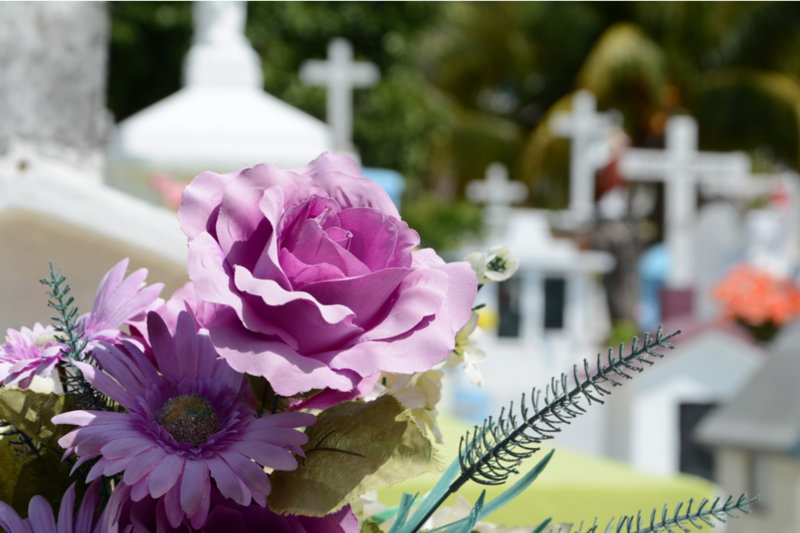 When a person dies, there are certain tasks that must be taken care of, such as planning the funeral, contacting the insurance company, obtaining death certificates, and more. While you should offer to help, don’t try to take control of the situation. Handling the planning gives many people in grief a sense of control and a source of distraction. Instead, sit down with your loved one to figure out which tasks he or she must take care of personally and ones he or she wishes to take care of. Find other people to handle the remaining tasks. Helping someone with Alzheimer's cope with the loss of a loved one has its own unique challenges. How the individual receives, processes, handles, and deals with the loss will greatly depend on the stage of dementia. For example, people in earlier stages may have an easier time understanding the loss that has occurred, while those in later stages may not be able to comprehend. "Before you can help a person with Alzheimer’s cope with the loss of a loved one, it’s important to understand how the grieving process works and the various stages of grief individuals typically experience,” says Neptune Society. That’s sound advice for helping any individual in the grieving process. Everyone deals with grief differently. However, in general, most people experience seven unique states of grief. The order may differ slightly, and the individual may bounce back and forth between states, but overall, those who have lost a loved one commonly share the states. Shock occurs immediately after the death. The individual will fluctuate between agonizing emotional pain and being forced into rational and logical behavior in order to handle practical concerns, such as funeral arrangements. Numbness follows shock. People report feeling like a ghost or walking around like a zombie. Symptoms can include lethargy, exhaustion, anxiety, agitation, not crying at all, or sobbing uncontrollably. Numbness turns into disbelief. At this stage, the phone rings, and the person think it’s the deceased spouse for a brief moment. Your loved one may say “us” instead of “me” or shop for two. Once the permanent absence of the deceased spouse sets in, the surviving spouse reaches the state of reality, which brings intense grief for most people, as well as guilt or the urge to blame someone. Your loved one realizes there’s no longer anyone to share the details of daily life with and feels deeply isolated. Next is the state of alienation Your loved one may make an effort to get back in touch with the world, but in your loved one’s mind, he or she isn’t a whole person but is half a couple and feels like the odd man or woman out. No longer being a wife or a husband makes your loved one feel a loss of identity. Eventually, he or she will be ready for the reinvention stage where there’s a shift from feeling like half a couple to a whole person. “Reinvention is the purposeful transformation of your perceptions about yourself and the world,” says Huffington Post. Your loved one will feel awkward and uncomfortable at first, but will slowly start enjoying social and community events again. Lastly, through reinvention, your loved one will reach a new normal and begin really living instead of just surviving. Life can be good and enjoyable again, and new friendships are formed. Even years after the death of his or her spouse, your loved one may regress into earlier states. A song, photo, anniversary, or holidays can trigger feelings of loss, pain, and separation. A widow or widower never “gets over” the deceased spouse; however, the grief eases over time. That time frame varies by person, but eventually, your loved one will reach his or her new normal. Your support and understanding can be instrumental in helping your loved one deal with each state of grief.